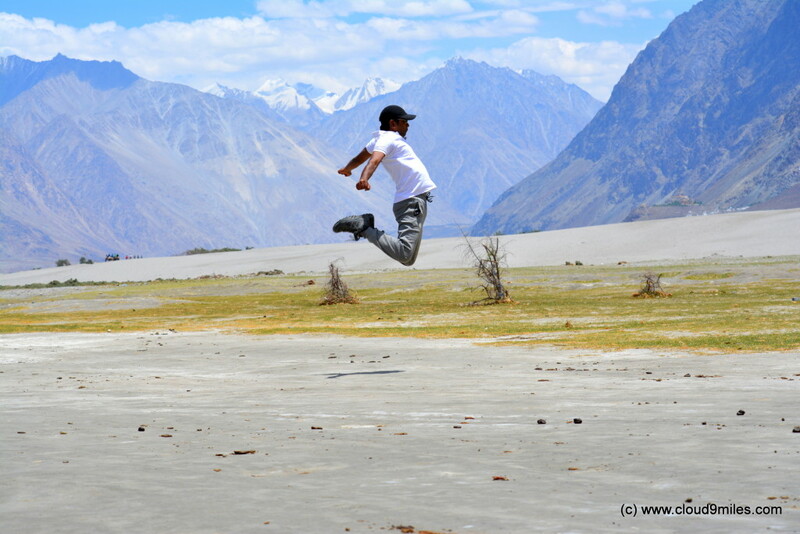 Nubra is tri-armed valley situated at the Northeast part of Ladakh at an average elevation of 3048 mtrs (10,000 feets). 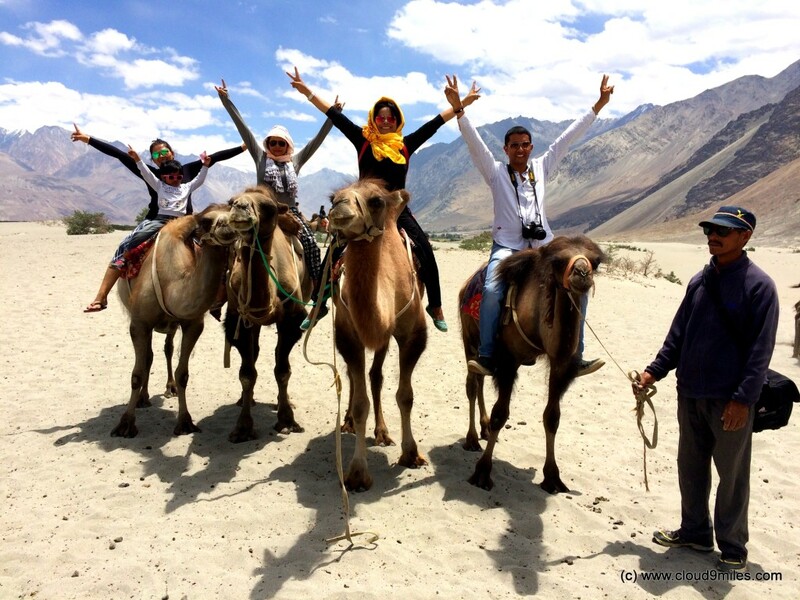 Nubra valley is the only place where one can find double humped Bactrian camels in a desert of white sand dunes – A high altitude desert! 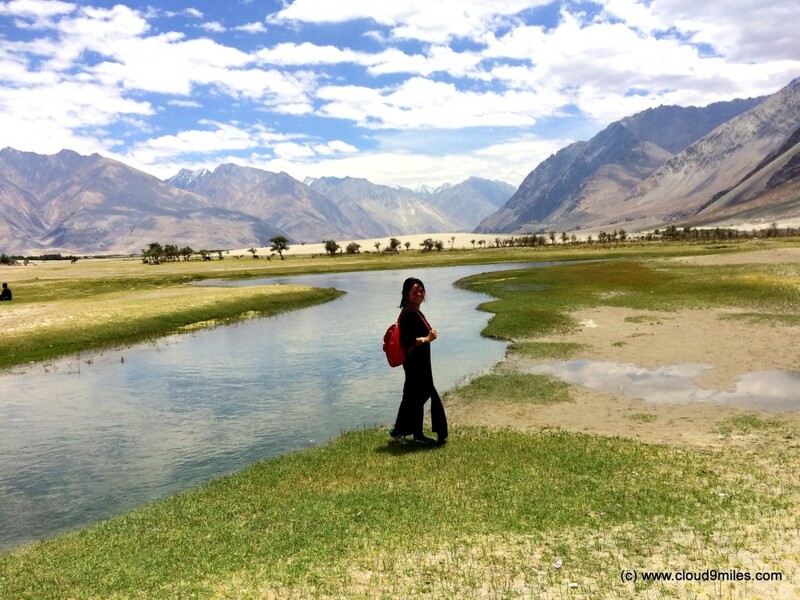 The Shyok river meets the Nubra or Siachen river to form a large valley that seperates the Ladakh and Karakoram Ranges. 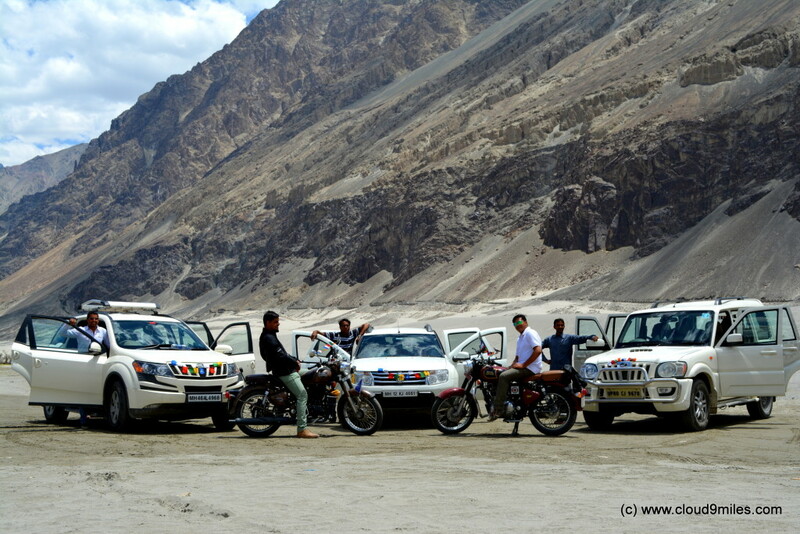 The world famous Siachen glacier is few kilometers from Panamik the last accessible point by civilians. 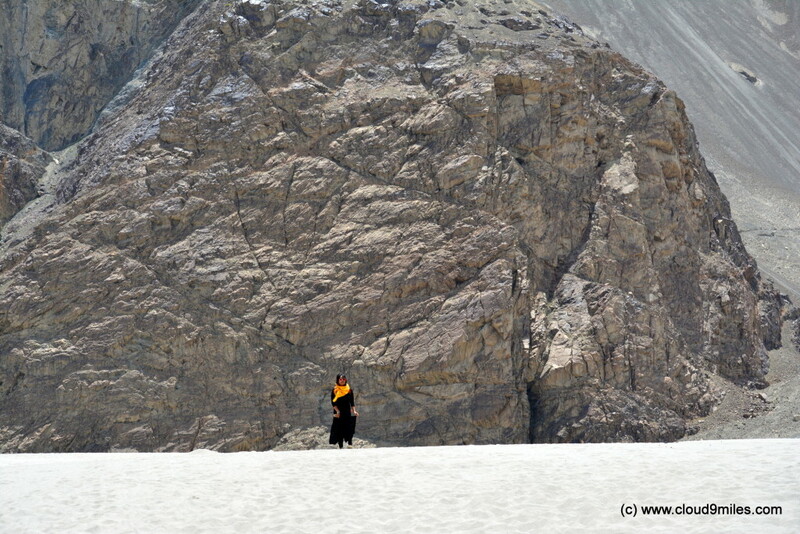 Siachen is the highest battlefield on the earth. 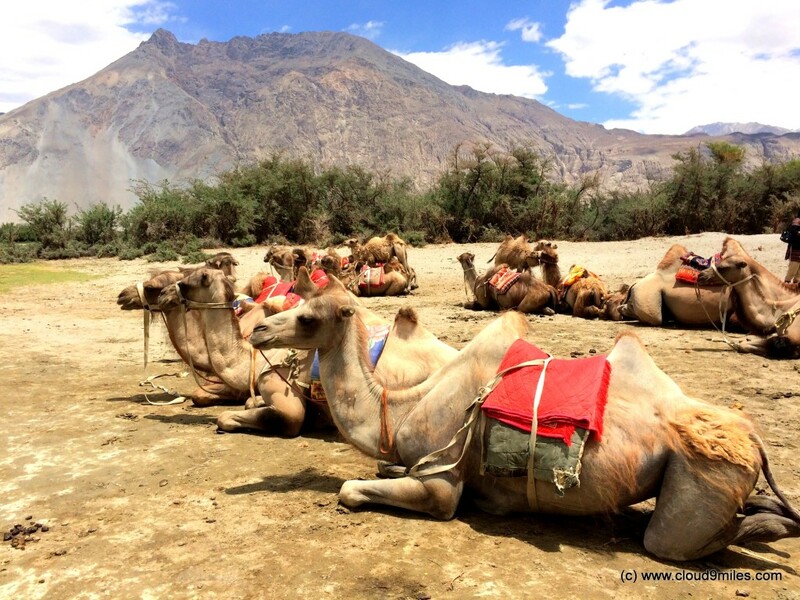 In earlier centuries there used to be trade routes through this region and double humped camels were brought to the valley by traders. 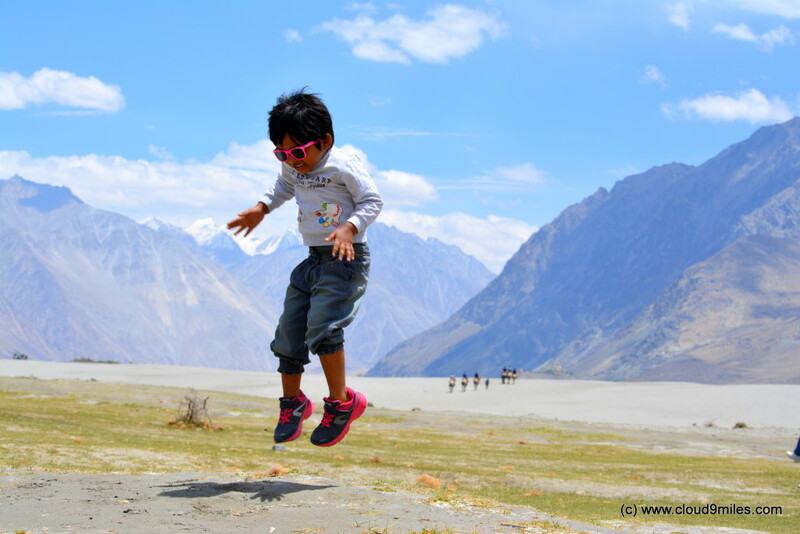 Foreign nationals are required to get a protected area permit to visit the Nubra Valley. 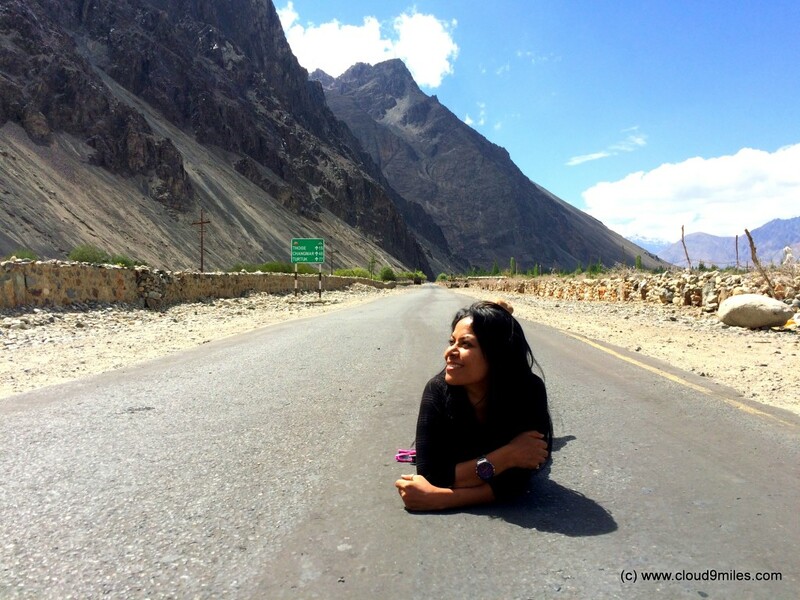 Diskit is the headquarters of Nubra Valley which is around 120 KMs away from Leh. 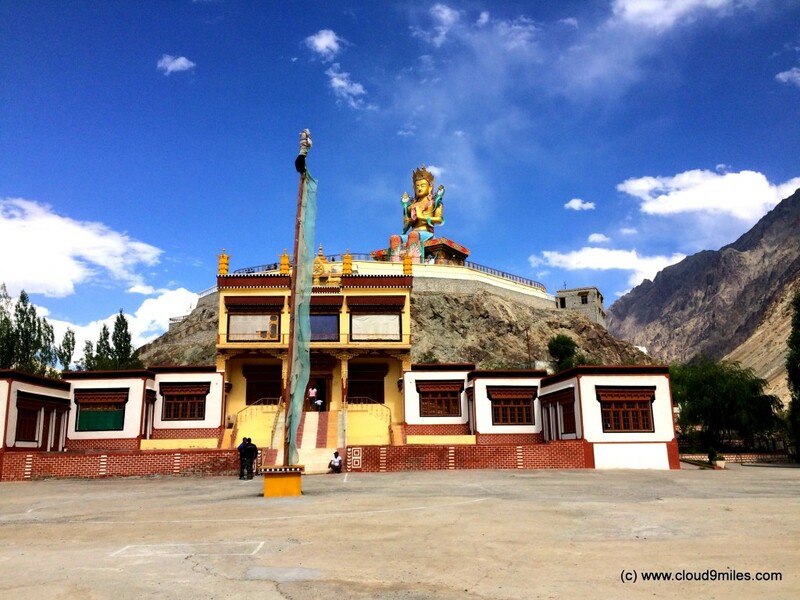 The 32 meter Maitreya Buddha statue is the landmark of Nubra Valley and is maintained by Diskit Monastery.The main road access to the Nubra valley is over Khardung La and an alternative route from Sakti, to the east of Khardung La, connecting to the main Nubra road system via Agham and Khalsar along the Shyok River. 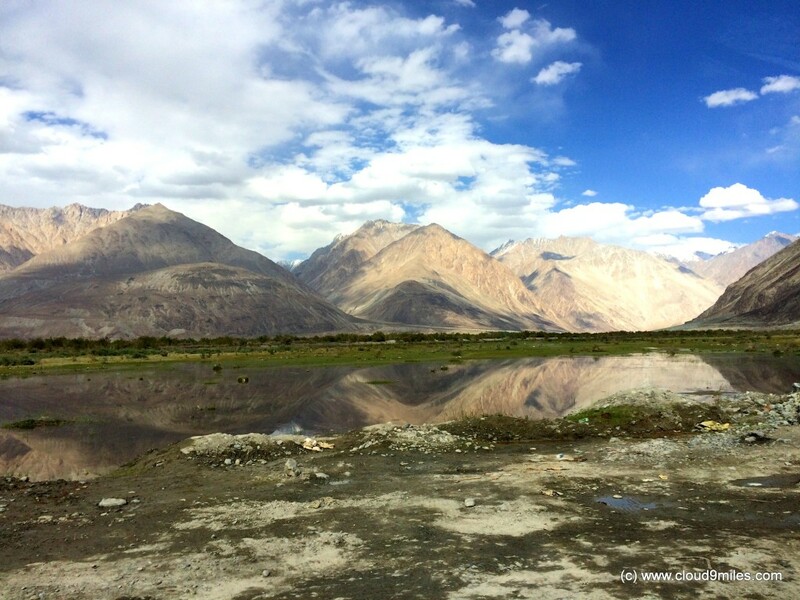 We arrived at Nubra directly from Pangong Tso via the alternate route through Shyok valley. 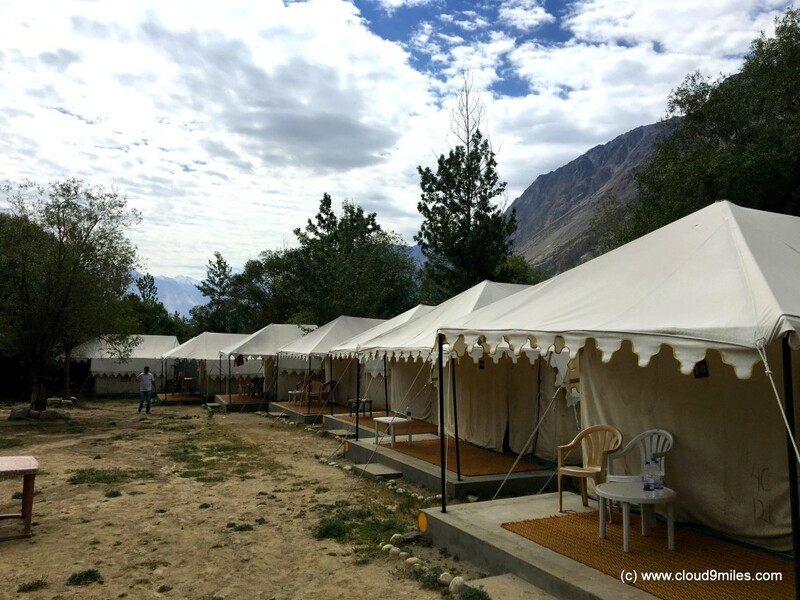 After an enthralling road trip from Pangong Tso to Nubra Valley, we settled for a tent in the quaint village of “Hunder”. Hunder does have multiple staying options available i.e. 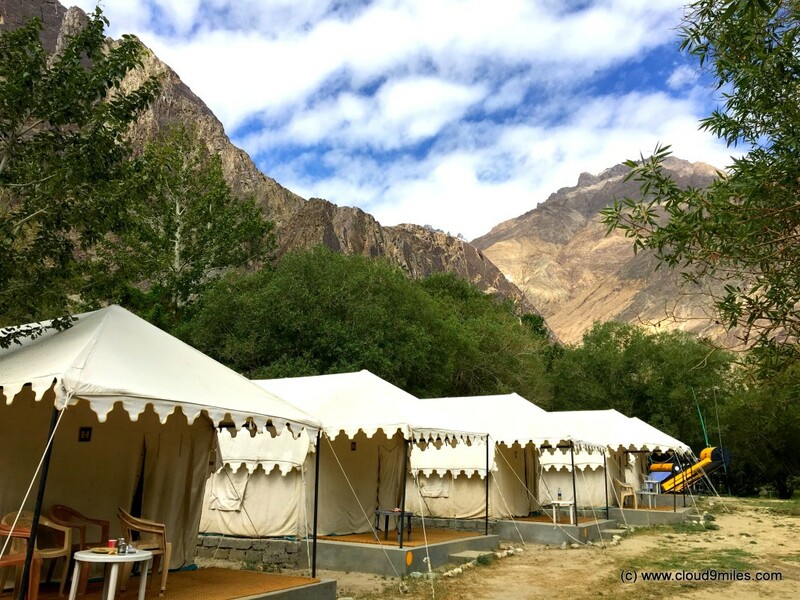 from guest houses to campsites, which we explored through the narrow lanes before opting for the tent stay. After checking in we straight away went for dinner and thereafter retired for the day. 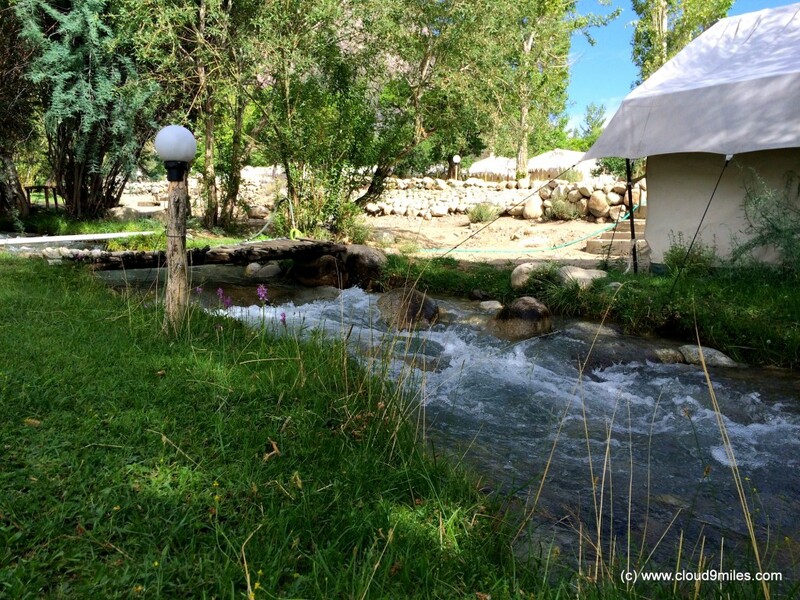 We woke up to a beautiful and blissful morning with refreshing sound of stream passing through a green landscape. 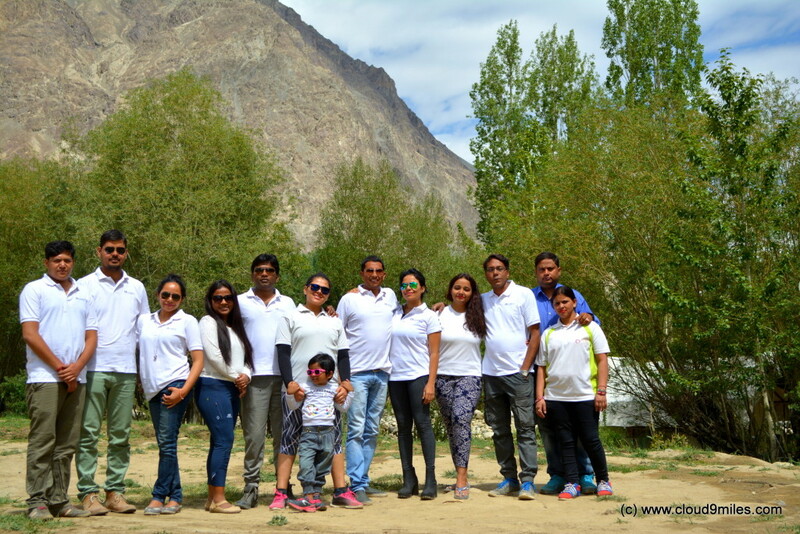 During the trip, this was the first time when we were surrounded by green landscape as against the barren landscape of Ladakh. 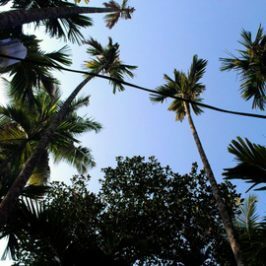 We could feel fresh air with sufficient oxygen that really had an healing effect on all. 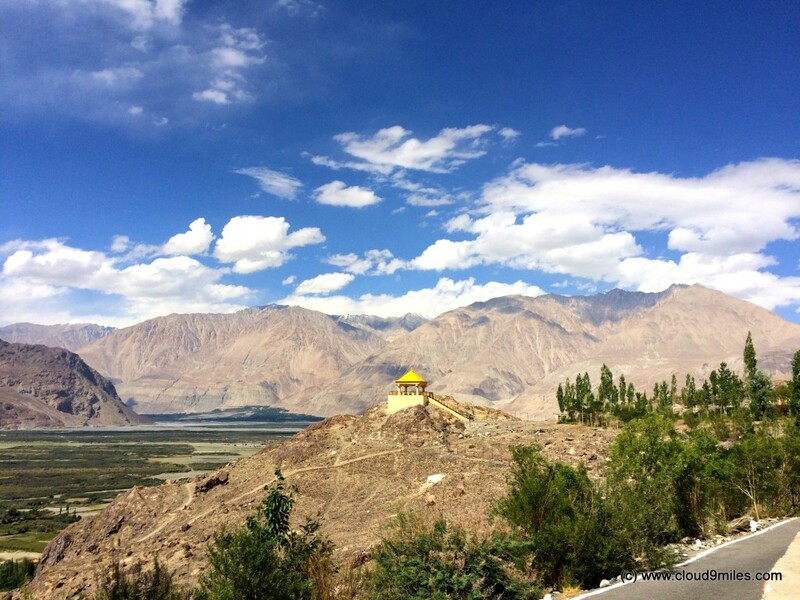 The forest cover does produce a relaxing environment to the harsh conditions of Ladakh. After breakfast we spent beautiful time in the vicinity of campsite and enjoyed every moment till checkout. 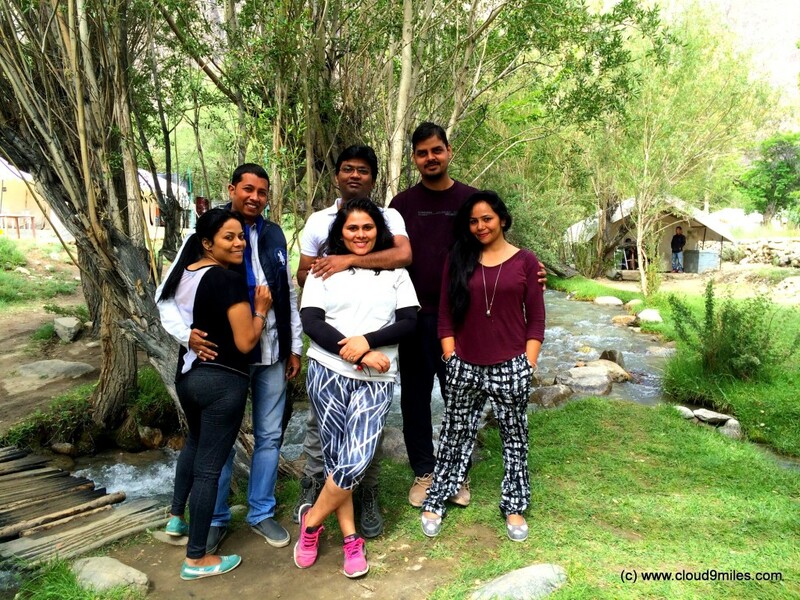 The fresh stream flowing through the camp was an icing on the cake. 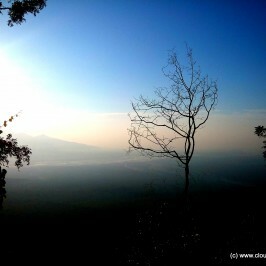 The tranquil environment of Hunder with solitude and quiteness was remarkable. After checking out we left for our next target i.e. “Hunder Sand Dunes”. Our campsite with a picturesque backdrop! Fresh water stream flowing through our campsite! 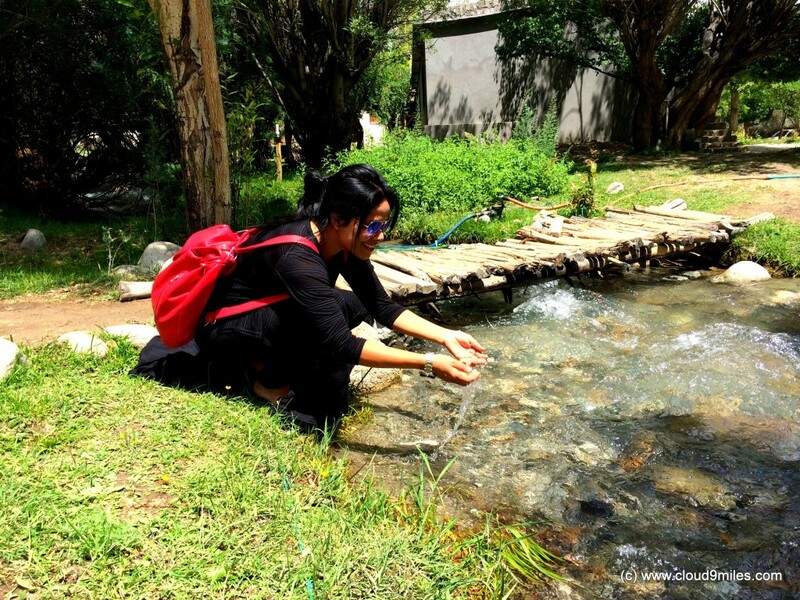 Shree playing with chilled water! 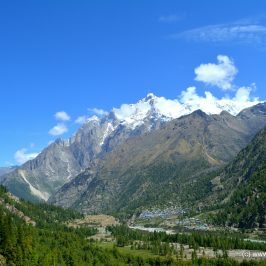 Mighty Himalayas on the backdrop! 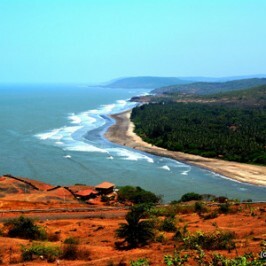 Hunder Sand Dunes is a unique beauty of nature that is located between Hunder and Diskit village. 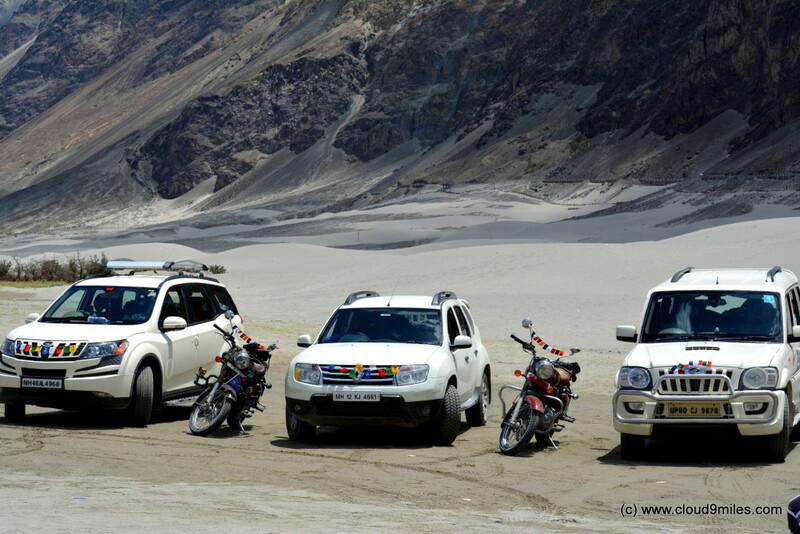 A completely contrasting feature of white sands amidst snowcapped mountain ranges thereby justifying itself as cold desert. 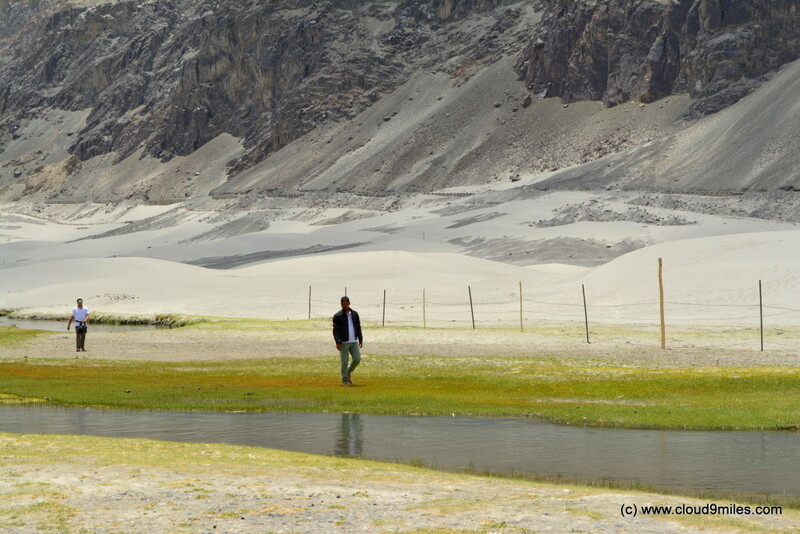 It is one of the high altitude deserts in the world that covers a wide area and is cut across by a gentle stream. 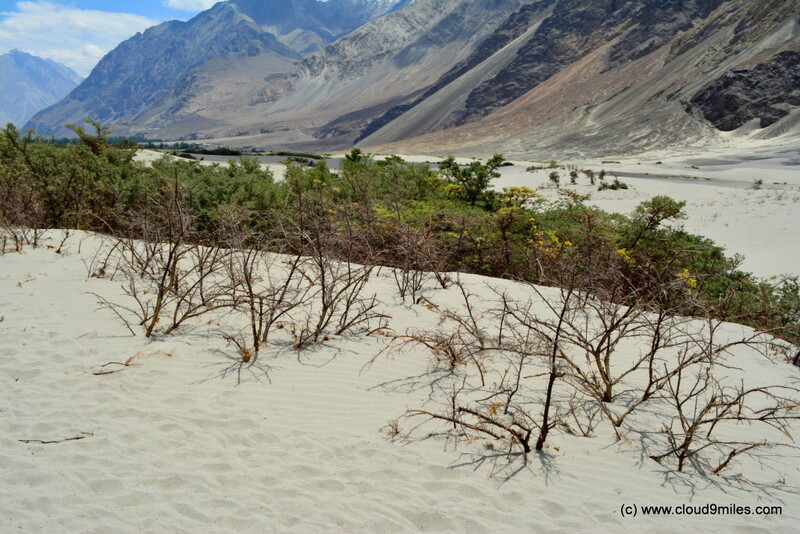 The sand dunes were near to the village and as we moved ahead towards it we saw a sudden change in topography where just after a thick vegetation lies a white sand desert. A short drive of 5 minutes was needed to reach sand dunes. 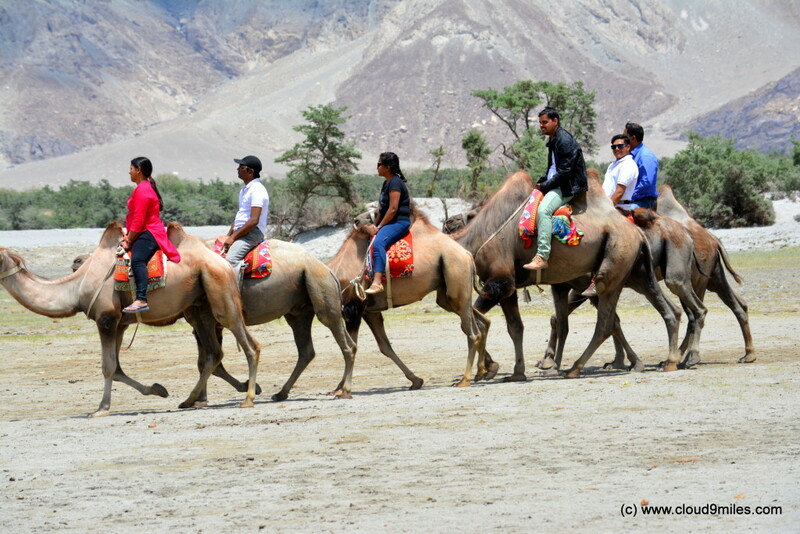 An amazing and rare sight of nature where one can find snow, sand, water, forest, and double hump camel at one place. 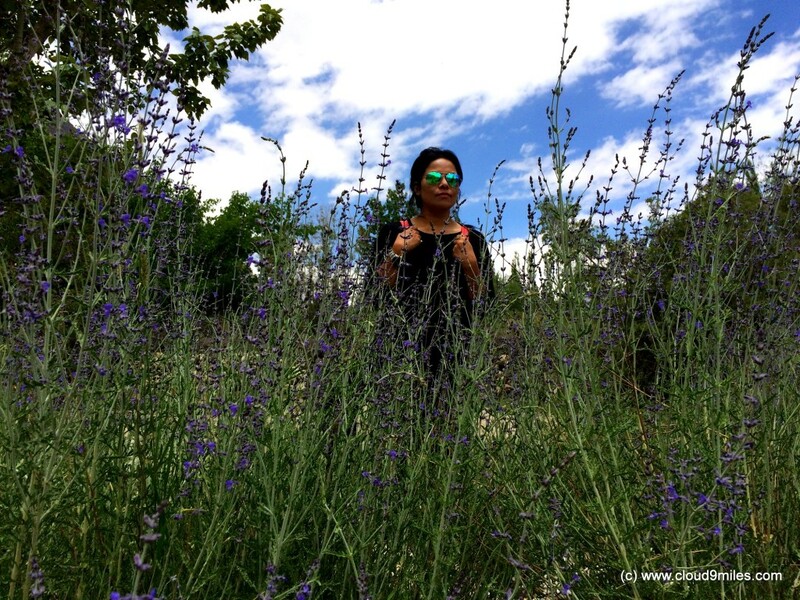 The landscape was spectacular with overwhelming effect of nature. We went for camel ride on the sand dunes and spent beautiful time amidst natural masterpiece. The cold desert has many species of plants and animals as well. 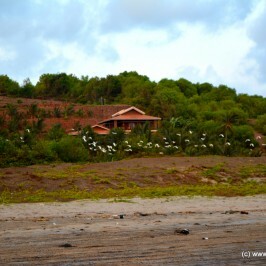 By the time we left from sand dunes it was lunch time and found a suitable place just after Hunder village. 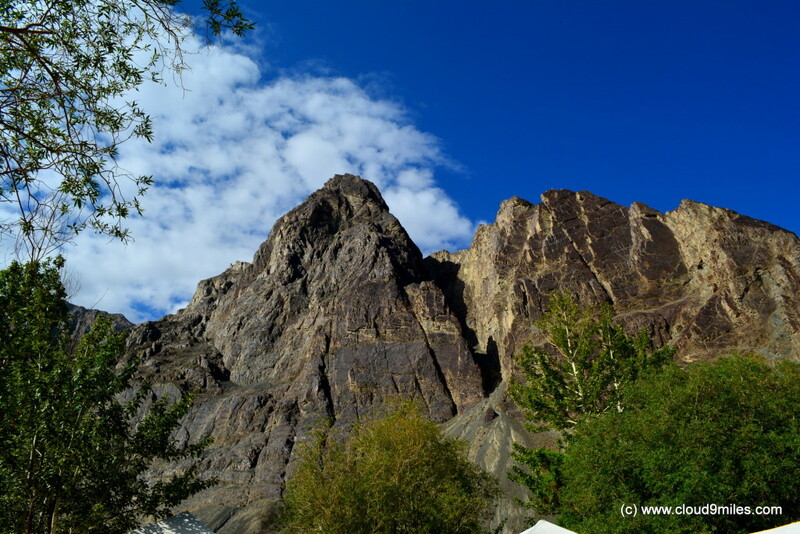 After lunch we headed towards Diskit Monastery built in 1420 AD and reached there after a drive of 20 minutes. 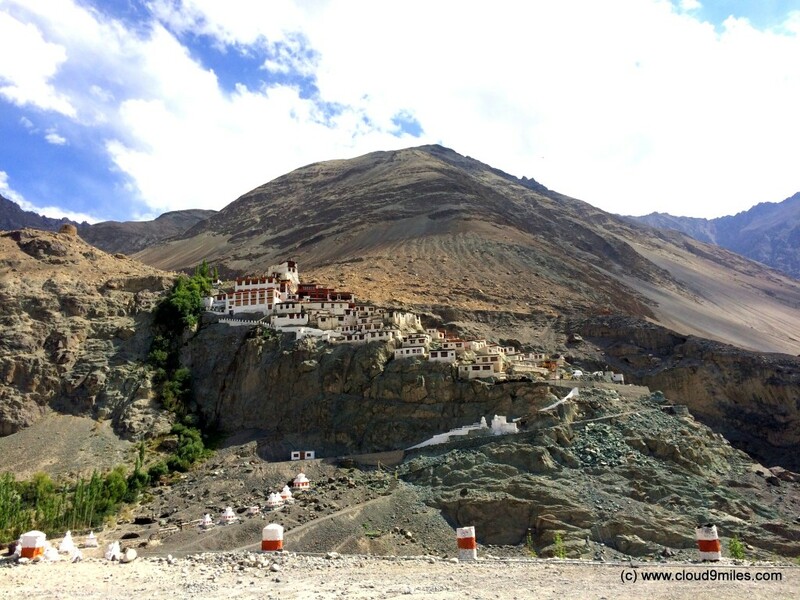 We visited the Gompa to enlighten the spirituality within ourselves. 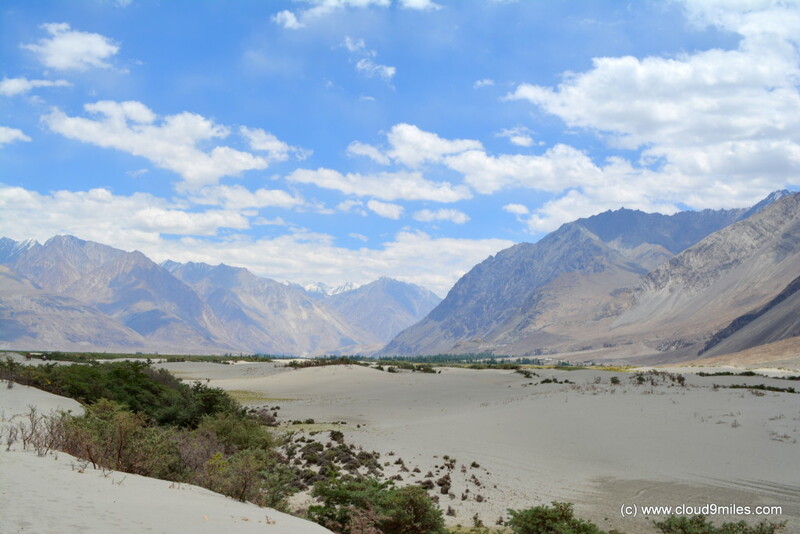 The view of Nubra valley from Diskit Monastery was like an oasis on a cold desert. 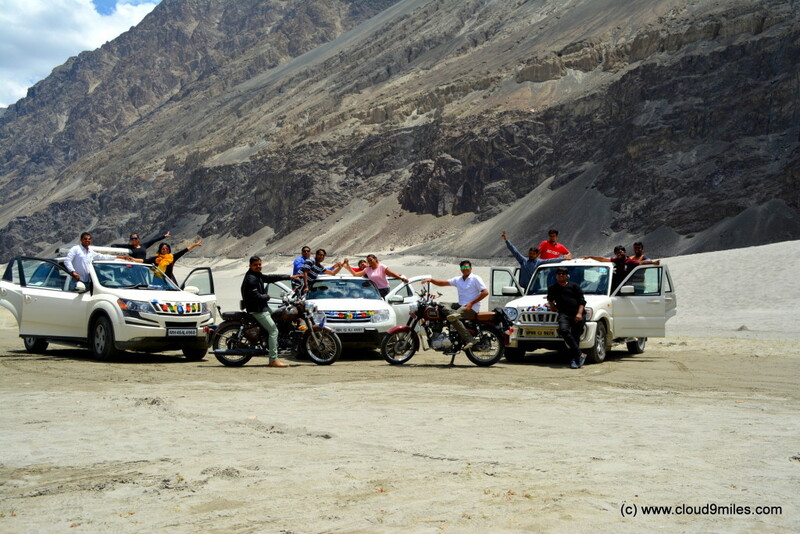 Finally, we left for Leh to conquer mighty Khardung La. 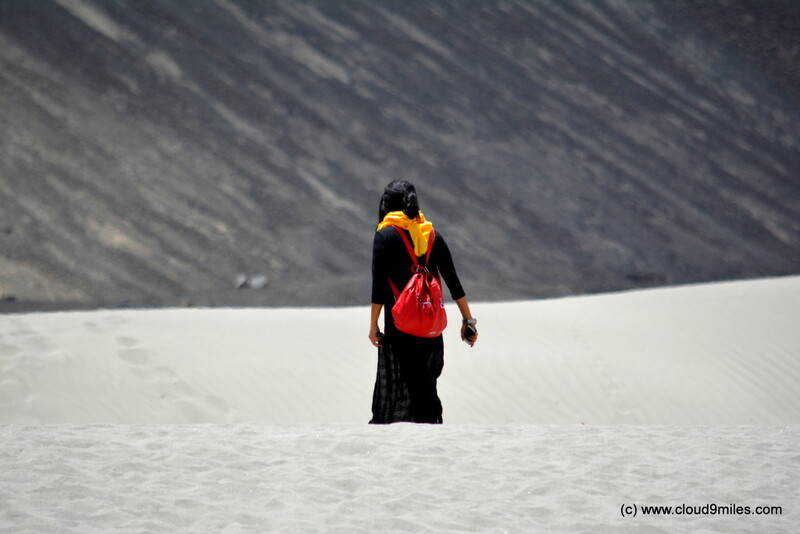 At the sand dunes – picturesque! Rider group ready to depart! 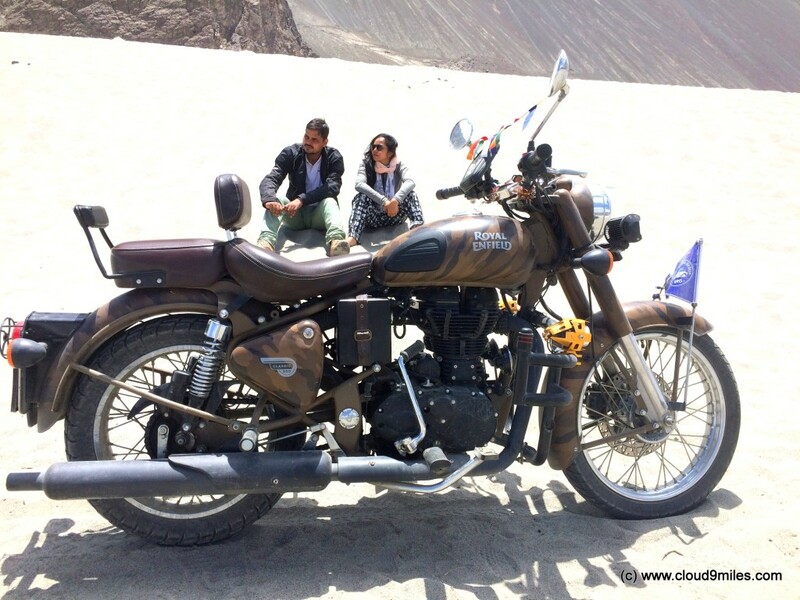 Our riders resting at dunes! Bactrian double hump camel – only found in 3 regions i.e. 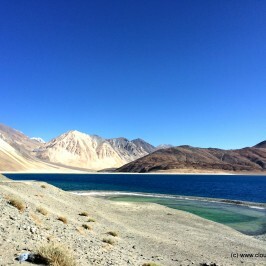 Ladakh, Tibet, & Afghanistan! View from the sand dunes! 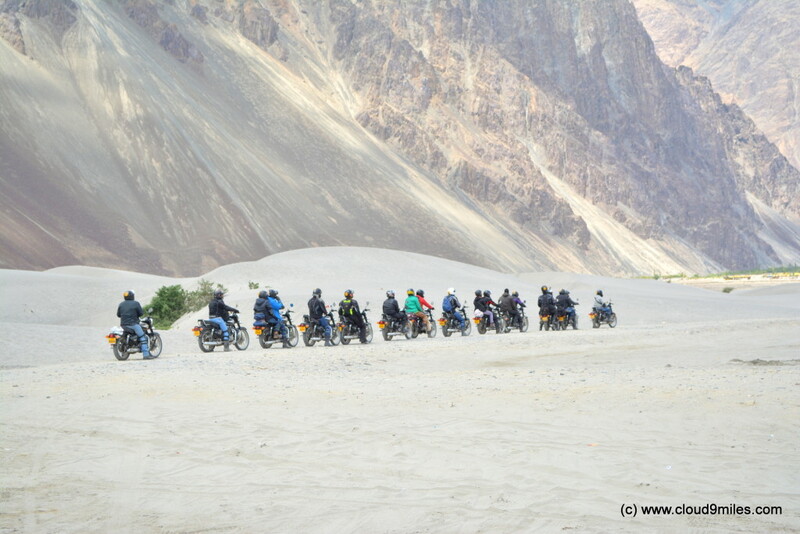 Desert with pinch of greenery! Departing for the camel ride to sand dunes! We are done with the safari! 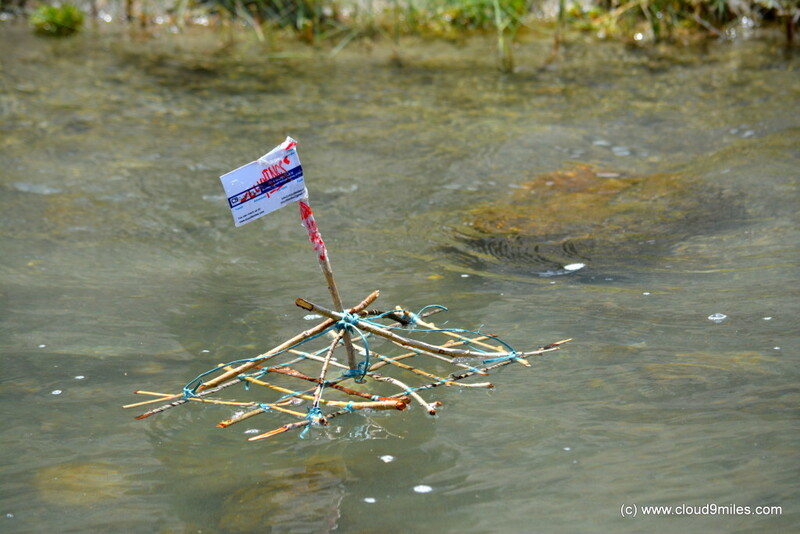 Cloud9miles raft on a water stream! 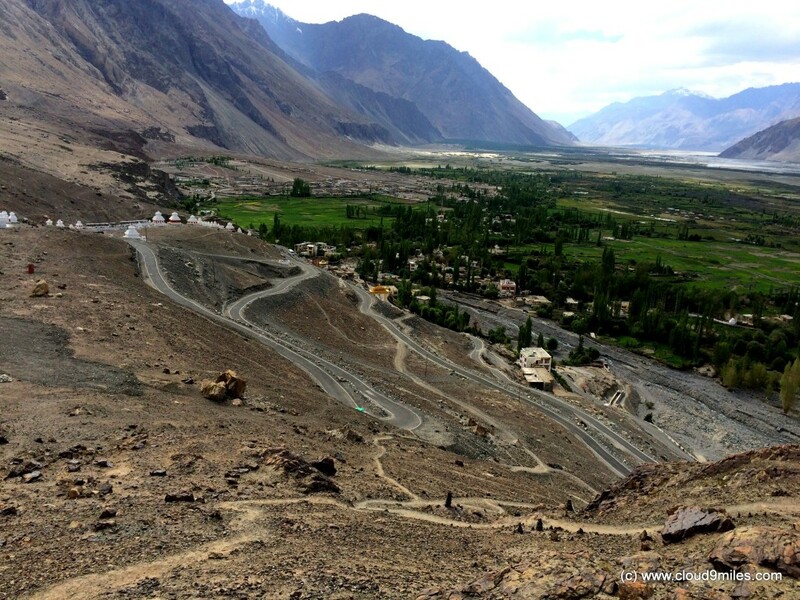 Beautiful Nubra Valley from Diskit Monastery! 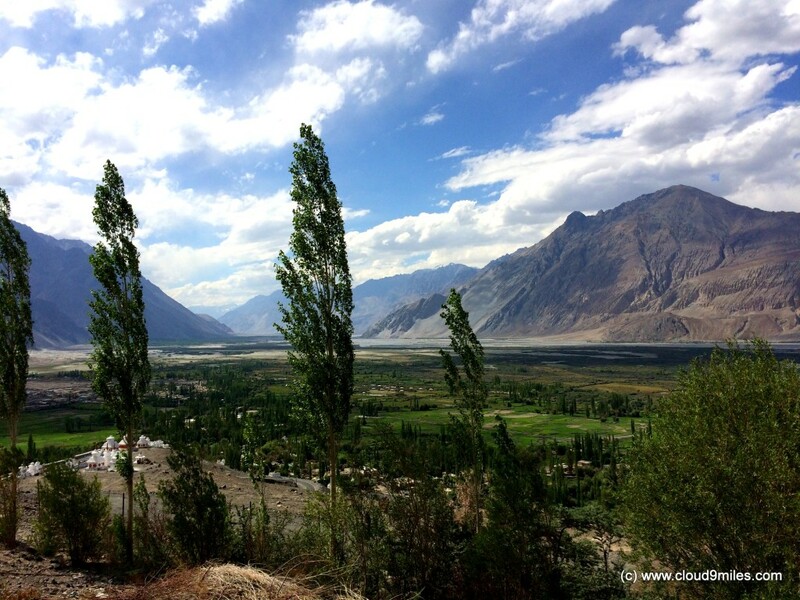 Nubra Valley from view point! 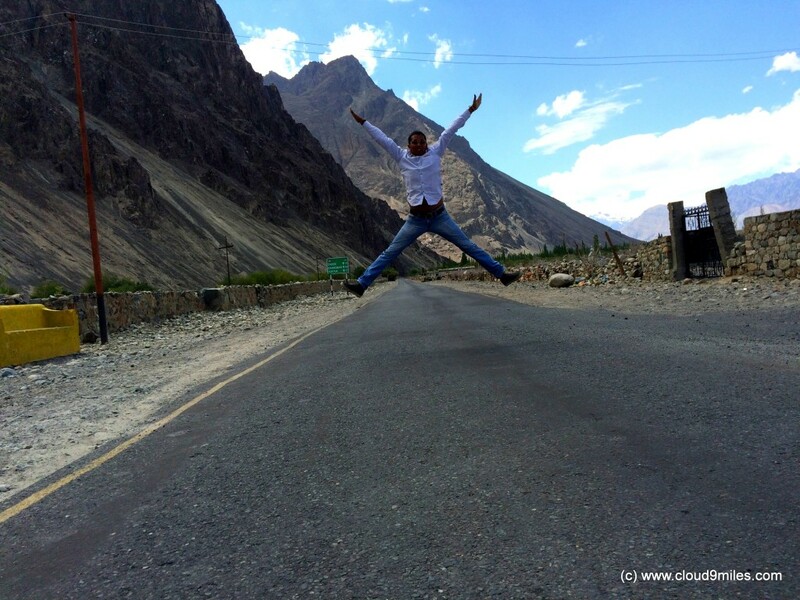 Nubra Valley is an ideal place that helps in acclimatization to high altitude. 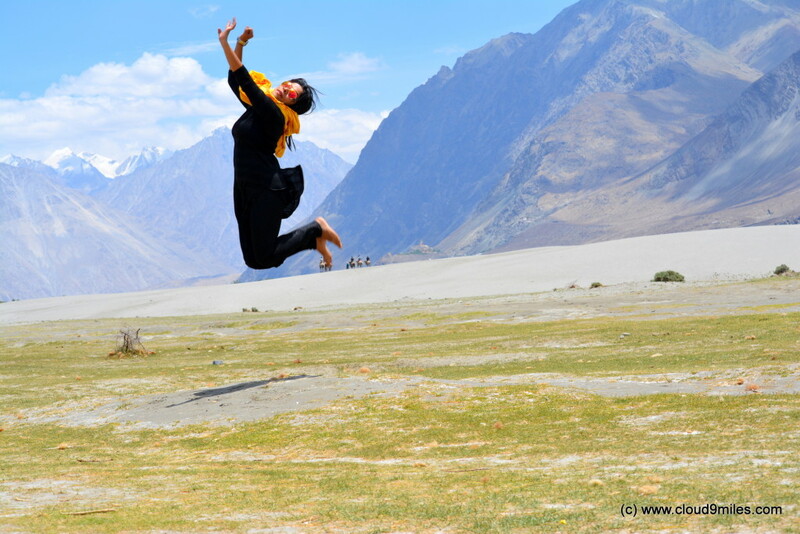 This place eventually helps in making Ladakh trip more successful due to its healing effect. 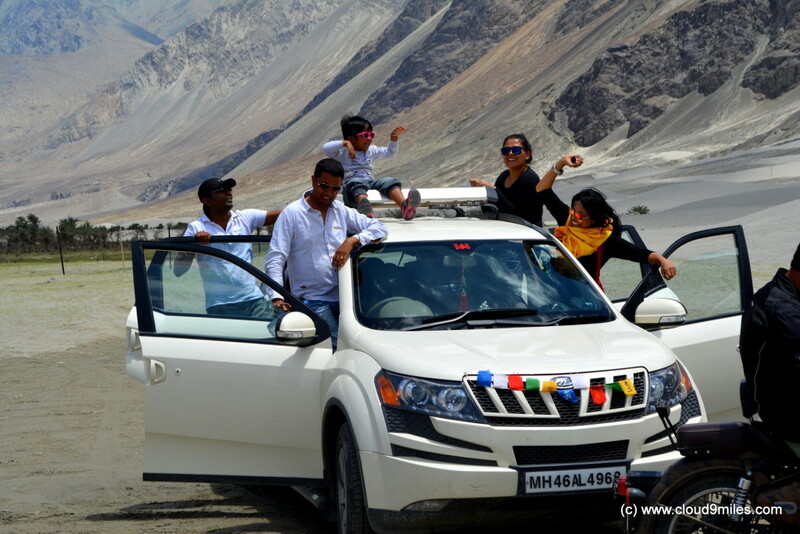 Like every other place in Ladakh region, Nubra Valley also left a lasting impression on us. 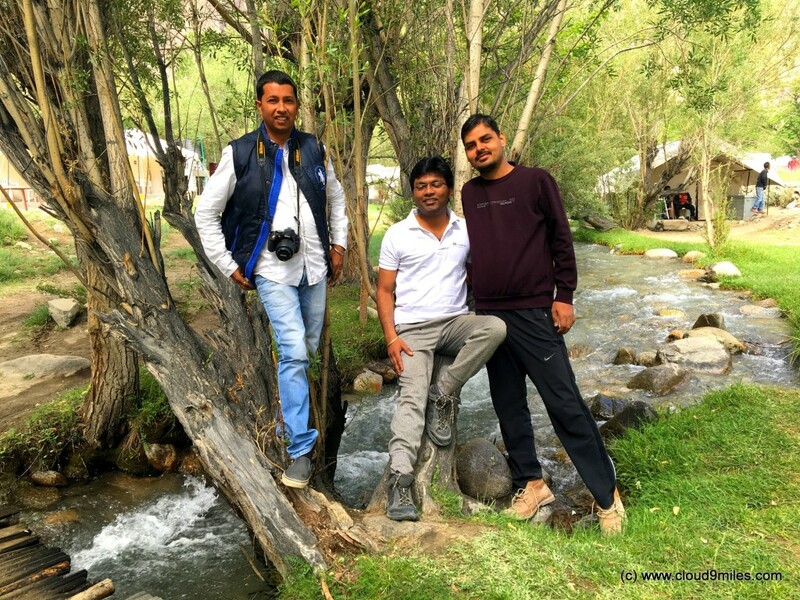 We felt like spending few more days at the serene environment of Nubra Valley but time was a constraint that kept our wish at bay to move ahead. Fabulous trip in the beautiful place.